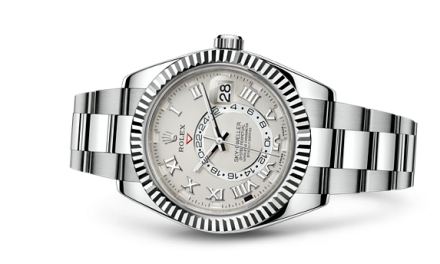 Rolex has an impressive history of making exclusive valuable watches. Their Oyster Perpetual collection is probably their most famous model. The Sea Dweller is one of those. More specific the Rolex Sea Dweller deep sea James Cameron. This exclusive highly collectible model is made in commemoration of the record-breaking dive, made to the bottom of Mariana trench, on the 12th of March 2012 by James Cameron. What a stunning watch! Cameron made that dive with a supercharged version of the Sea Dweller Deepsea divers watch. This model had an extended case of 51.4mm, made by the engineers of Rolex. The watch was attached on a hydraulic arm hanging outside of the one man submarine “Deepsea Challenger”. After descending to the immense depths of the deepest trench on our planet Cameron checked the watch. And amazingly, at the depth of 10.908 meters, the watch functioned like it would do on the surface. After the legendary record dive of Jacques Piccard, made with the submersible bathyscaphe “Trieste” in January 1960, we can proudly write that Rolex has done it once again. A legend is re-born. Although the Rolex Sea Dweller Deepsea James Cameron looks stylish but simple, this masterpiece is far from an ordinary divers. The eye catching dial starts at the top in Blue to transcend at the bottom in deep black. Not surprisingly this resembles the deep oceans that every professional diver wants to explore. Okay, perhaps not to the extreme dark depths that are imprinted on the dial…. The hands on the dial contain the new developed ‘Chromalight’. This new material lasts up to 8 hours in dark waters. Hands, hours and the zero marker are treated to give you all details you need during a ‘dark dive’. 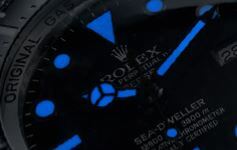 What better colour could have been chosen by the design team of Rolex than deep blue. 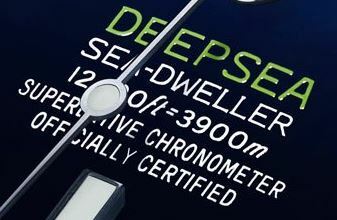 With a certified depth 3900 meters (12800ft) this watch goes far beyond any depth a human being can dive. But hey let’s be honest it doesn’t look bad on the dial. For sure some jealous looks will try to get a closer peek on the dial to discover what it actually reads. Soft sighs and eyes staring at nothing do confirm that person in his mind is; either on his way to the deeper waters as a professional diver exploring the ocean for National Geographic or, most likely, in shock thinking you have that job for a living! A massive solid piece of stainless steel (904L grade) guarantees the watch will not implode at the certified depth. The sapphire crystal is domed shape to resists the enormous pressure and the bezel, made of black Cerachrom, will keep your dive time monitored for you. Needless to say that the bezel is rotatable with a 60 minute insert but remember, non divers read this post too. Assembling the three together makes the Rolex Sea Dweller deep sea D-Blue stronger than many man-made subs and roughly it can go deeper about one-hundred times any human would ever be able to. The heart of this exceptional watch is driven by the caliber 3135 which is developed and manufactured in-house. 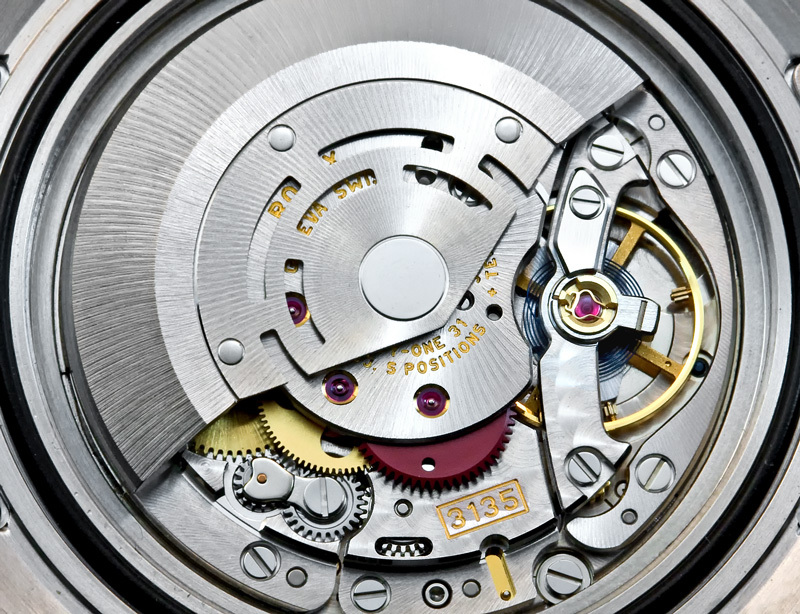 The COSC certified Rolex Perpetual movement features a Parachrom hairspring. This material obviously helps this timepiece to be better resistant to the difference between temperature in the depths of the oceans. The hairspring also absorbs shocks better, which comes in very handy for a industrial watch. Being a mechanical self-winding caliber there is only one thing that this watch likes more then anything else, to be worn and used. The only thing left to write is a warning; do not loose your watch! Well don’t worry, obvious Rolex has thought of that too. Under extreme circumstances you want to rely on the bracelet and clasp. Hence the patented Rolex Glidelock gives you the ability to adjust the bracelet to your dive suit (dry or semi-dry). Ten different sizes can be set (within a 20MM range) so there is no doubt it fits you as well.